Imagine you've been tasked with hiring a new employee for your organization. After an exhaustive search, you found the perfect candidate. You've made the offer, but before the person will accept, the person asked to have a quick meeting with a group of randomly selected employees. The perfect candidate says it's no big deal... just wants to learn a little about the culture of your organization. What would a random group of your organization's employees say about your culture? Would they say most employees do the bare minimum to get by, or would they say most employees have a high commitment to the organization and its values? In Engaged Leadership, Clint Swindall describes how to build the culture of engagement by breaking down the art of effective leadership. Question: Writing a business book with a fable format is unique. Why did you choose to write Engaged Leadership in the fable format? Clint Swindall: Two reasons. One, people relate to people, and I believe the success of many business fables today has proven that to be true. Readers can take the lessons learned in a story and apply them to their own circumstances. In fact, I have found in the professional speaking industry that people have the best chance of learning a concept and actually applying it in their life if they can combine the theory with a real-life example. And two, a business story gives the reader a reason to want to continue reading the book. Too many how-to books get put down after the third chapter. While some people dedicate the time to read a book from cover to cover, many simply don't have the time or commitment. I wanted to write a book people would be encouraged to finish so the concepts can get applied. Question: In Engaged Leadership you say that workers are looking for an expression of optimism for the future, that they want leaders who don't let obstacles get in the way of their goals. Workers want leaders who keep hope alive by seizing the moment. In these difficult economic times one might suggest that the need for this type of leadership is greater than ever. Would you describe how many of the organizations you work with are adopting an engaged leadership approach to the business challenges we collectively face today? Clint Swindall: I see organizations doing a few things that are working extremely well. One, they're keeping an eye on the good stuff. Despite all the challenges these difficult economic times are producing, smart leaders are able to recognize those things that are working well. They aren't ignoring the challenges. They're simply focusing on the good stuff. Also, they're turning to employees to share ideas on getting through the tough times. Not only do employees want leaders who don't let obstacles get in the way of their goals, they want leaders who include them in the solution. Question: Engaged leadership at all levels in an organization sets the environment for creativity and innovation. What advice are you providing corporations in their efforts to support a culture where creativity and innovation are acknowledged and rewarded? Clint Swindall: For one, I'm encouraging leaders to understand the difference between delegation and empowerment. Delegation is giving away work, while empowerment is about building a culture of trust. Empowered employees become more creative and innovative. Secondly, I'm encouraging companies to solicit input from employees on new, innovative ways to meet the bigger vision of the organization. When employees see ideas being implemented that came from another employee, a culture of creativity and innovation can begin to develop. Question: As we move towards a knowledge-based economy the importance of diversity in skills, experience and background are increasingly recognized as important factors in an organization's capacity to innovate. You speak to the importance of bridging the gap between generations. How important is the acceptance of diversity to the growth of innovation in a company? Clint Swindall: It's critical. Our world is becoming more and more diverse every day. Managing multiple generations is certainly one aspect of diversity, but truly engaged leaders are recognizing that the acceptance of diversity on all levels is critical to the growth of innovation in a company. Question: Would you please elaborate on the importance of establishing a strategy to maintain success once an organization has engaged employees? Clint Swindall: Too often an engaged culture is tied to a single personality. I believe that if we've created a culture of employee engagement over a period of time and it falls apart after we're gone, then we didn't serve the organization well in the long run. It's all about succession planning and ensuring that people are in place to continue the culture of engagement. And it's about documenting what's been done to allow others to follow in our footsteps long after we're gone. Question: When an employee is disengaged from the organization, they often see their work as a job. They lack the passion that is reflected in the work of engaged employees. However, the future success of the company lies in the ability to move the disengaged employee to be motivated and a contributing member of the team. How optimistic are you that a disengaged employee can be turned around, and how might one encourage it? Clint Swindall: I'm very optimistic that a disengaged employee can be turned around. In fact, I'm convinced that our best opportunity is with the 55-percent of disengaged people in any organization. The top 26-percent are engaged, and they would be engaged anywhere they get to do what they're good at doing. The bottom 19-percent who are actively disengaged will be spreading their negativity regardless of where they are in life. But the best opportunity is to grab the 55-percent in the middle. Leaders have a chance to move an employee from disengagement by building a consensus for the vision of the organization, inspiring employees to want to pursue the vision, and building a team to realize the vision. Question: In your book you indicate that a survey by the Gallup Organization found that only 26-percent of employees are engaged and that 55-percent of employees have no passion for their work. From your experience in working with corporations what would you suggest are the primary reasons for this low rate of employee commitment? Clint Swindall: I think there are two reasons. One, too many leaders expect employees to show up committed to the organization. In a sense, they expect employees to be engaged when they agree to the job, and they aren't spending much time trying to get anyone engaged. And two, I see way too many employees accepting the wrong job. It's hard to get excited about a job you don't want to perform. In many ways, the disengagement challenge is a two-way road. Question: The United States is clinging to its competitive advantage by continuing to be a magnet for the best talent in the world. China, India, and other emerging economies continue to grow faster than those in the West. While many companies may retrench to old ways of thinking in these difficult economic times, how can engaged leadership point the way forward for companies struggling to compete with the economies of China and India? Clint Swindall: Many leaders continue to think they must buy the talent to compete at a high level. While competitive compensation is certainly important, the best way to attract and retain the best talent in the world is to create a culture of engagement. Yes, people want to earn what they're worth, but they also want to be a part of something bigger and better. If they pay their best employees extremely well and work to build an environment where employees are fully engaged, employers will give themselves an opportunity to compete with any emerging economy. Question: You indicate that responsibility for productivity and profitability rests entirely on the shoulders of leadership, as does the responsibility to overcome employee disengagement. From the research you quote in the book it appears that leaders are not paying the necessary attention to overcome the poor results of a disengaged workforce. Why do you think this is the case? Obviously, leaders do not want disengaged employees. Clint Swindall: Two things. One, most leaders are rewarded for results, not for employee engagement. While it could be argued that an engaged workforce will provide better results in the long run, many leaders aren't willing to invest the time and energy that is required to build a culture of engagement. And two, many people who are in management got there not because of their ability or desire to lead but their ability to do the job they had before. Question: More and more employees view the pursuit of a balanced life as critical to their decision to remain with, or even join, an employer. The opportunity to work for an employer that fosters a balanced life may often be more important than income or a corner office. A balanced life likely means different things to different people. Perhaps more than anything it is best represented by the flexibility an employer provides for each employee in the organization. Is it possible to run a company and still recognize personal work schedules to accommodate personal lives? Clint Swindall: Not only is it possible, it's essential. The Baby Boomer generation set the bar high regarding work ethic and a "live to work" philosophy. These younger generations are placing a higher priority on other aspects of their life and live by a "work to live" philosophy. And as you noted, balancing it all means different things to different people, and it will require a concentrated effort from leaders to meet specific work life balance needs of individual employees. Question: Research indicates that the cost of replacing an employee can be anywhere between one and three times the lost employee's annual salary. Added up, the cost of losing an employee is big business. Unfortunately, the most negative impact of turnover is found in the hidden costs. Would you please elaborate? Clint Swindall: Hidden costs are one of the primary reasons more companies don't focus on employee turnover. If it can't be measured and held against someone, then they'll probably focus on those things that will show up on a financial spreadsheet. There are some costs that are real, like temporary labor, recruiting, and training of new employees. However, these are often considered a cost of doing business, and seldom tied back as a cost of turnover. But the worst is the hidden costs that we'll never be able to calculate to the penny, because they include the work another employee must do to cover the work of a lost employee, the unproductive time spent in the "learning curve" of a new employee. And all of those things are related to expenses. We haven't even begun to calculate the lost revenue associated with employee turnover that comes from lost sales or lost relationships. Question: Changes in directions are often met with fear. Managers often fear a loss of authority when decision making is pushed down the organization. Employees may fear consequences if they have been empowered to make decisions they've never made before. As an organization responds to change, communication plays an important role in lessening those fears. Employees need to know what progress the company is making and how their roles are contributing positively to the changes. In your work with corporations do you see leaders deploying these strategies as they manage a changing and challenging business environment? Clint Swindall: Seldom. Most employees will tell you that one of their biggest challenges is not being told what's happening in the organization. Despite this, employee communication continues to be an ongoing problem. Question: Recent studies indicate that two-thirds of employees do not know or understand their employer's business strategy. That is an astonishing number, and one that should be of great concern to leaders in business and government. With the decline in the financial markets and the impact on the economy, many employees will be delaying their retirements. As those employees come to work each day, what do their leaders need to do to ensure that those employees understand the business directions of their company? Clint Swindall: The first thing they need to do is not assume employees understand the bigger picture. Although two-thirds of employees indicate they don't know or understand the company's strategy, I'd be willing to bet that plenty of leaders would say their employees know the bigger picture. The second thing they need to do is not assume employees don't want to know. Some may not care, but there must be an assumption that everyone wants to know how what they do ties into a bigger picture. Question: In today's business world, building a bridge between generations is more important than ever. Baby boomers are beginning to retire and will continue to do so in greater numbers in the next ten years. Would you please elaborate on the importance of bridging the gap between generations in the work place? Clint Swindall: One of the single most important business issues will be bridging the generation gap. Having said that, I believe we often allow our perceptions of the generational challenge to influence us more than reality. While we have our differences, the generations are much more alike than we think. Ultimately, the bridging of the generation gap all starts with education. Also, keep in mind that while Baby Boomers are set to retire based on their age, many will continue to work based on the losses in their retirement accounts. As a result, companies will be faced with an impatient generation behind the Baby Boomers with no place to move up. Question: In Engaged Leadership you discuss the importance of identifying and positioning for success the talent in the organization. You indicate the importance of hiring for attitude when recruiting new employees. Would you please elaborate on this concept? Clint Swindall: Too often employers hire based on skills. The fast food restaurant manager is looking for frontline employees who have previous fast food experience, so they don't have to train them. While that's beneficial to the employer, it's not so good for you when you encounter the employee with a lousy attitude. You see, I can't teach "nice," but I can teach someone to work a register or prepare food, so it's critical that we hire for attitude. In the long-run, it's good for the employer, the customer, and the employee. Question: You indicate that a sign of real leadership is reflected not in what a leader does while inside the organization but how well the organization prospers after the leader has moved on. Would you describe one or two examples from your many experiences with corporations which highlight this point? Clint Swindall: I'm not sure there is a better example than Southwest Airlines. Herb Kelleher built that airline from the ground up with the culture he wanted it to have. He did a great job while he was there, and many of the pundits predicted the culture would change when he left. He worked hard to not allow the success of the organization to be about him, and, as a result, the culture continued long after he was gone. Question: Organizational leadership focuses on the development of the team. Even when a culture has been developed that supports employee engagement, employees come and go. Some of the employees who leave may well be significant contributors to the organization. This is one more reason why organizations need to cultivate a culture that will last far beyond a single person. Are corporations focused on the importance of building a culture that goes deeper than the local manager? Clint Swindall: I think they know the importance, but people are driven and rewarded by what's measured. If senior leaders included an element of building long-term engagement into an annual review, more corporate leaders would focus on it. Until then, the focus will remain on what's measured. Question: Engaged Leadership is your first book to be published. Has the success of the book encouraged you to consider writing another? Clint Swindall: Absolutely. Sales of Engaged Leadership have far surpassed my expectations and the expectations of my publisher. I've started writing the second book, and it focuses on the other side of engagement—the employee. While leaders can create a culture to overcome employee disengagement, the employees have a responsibility to meet in the middle. It will have a direct connection back to Engaged Leadership. Question: What other interesting projects are you working on? Clint Swindall: We're working on a product that will allow individuals to take engaged leadership to the next level. Learning is an ongoing process, and we want to provide the tools necessary to take the concepts in Engaged Leadership and make them a part of a leader's everyday life. Engaged Leadership shows organizations how to break down the effective art of leadership into three primary areas: directional leadership, motivational leadership, and organizational leadership. 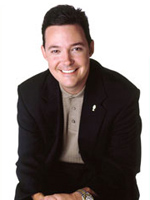 Clint Swindall is the president and CEO of Verbalocity, Inc., a personal development company with a focus on leadership enhancement. Services provided include leadership enhancement programs, training, speaking, and general consulting. Clint Swindall began his career at SBC Communications Inc. (now AT&T) upon his graduation from Texas State University. As a participant in the company's Leadership Development Program, he quickly gained hands-on experience in sales, marketing, customer service, finance, and technology.